all you do is use the title of a randomly-generated Wikipedia article. If you don’t fancy that one, just try the link again for another random name! here all you do is use the last few words from the last quote on a page of random quotations. this is the real fun part – choose the image that comes up using this Flickr tool, which generates a random image – and best of all, they are without copyright restrictions! So feel free to borrow and adapt them to your needs! using Photoshop, Paint, etc, make the overall package perfect for your bands image. Finally – post the results in the comments of the Flickr photo! 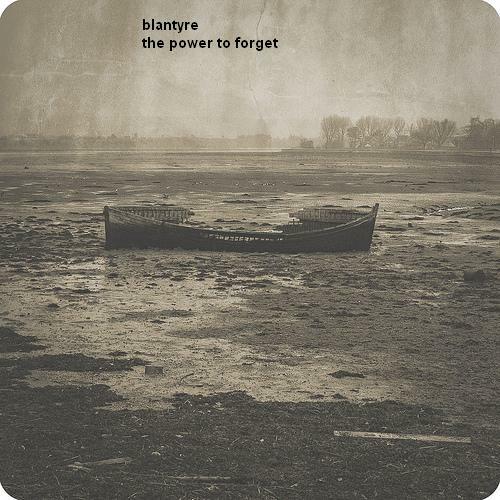 and here it is – ‘The Power To Forget’, by Blantyre! There, I feel better for that.